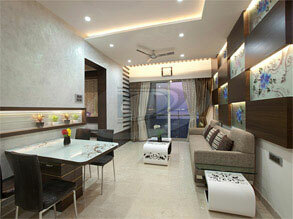 Are you looking for some exotic interior ideas that can turn your home in an enticing paradise? We at Delecon Design Company are renowned Interior Designers in Mumbai who with our exemplary services can uplift the entire outlook of your interiors. Our services are not limited to any particular interior niche alone. Our expertise ranges across a myriad of categories including residential, commercial and interiors for office and hospitality. Headed by Mr. Rajveer Sharma, the creative force behind the architectural excellence and sensibility, Delecon Design Company has progressed to find its place in the list of interior designers in Mumbai. Holding years of expertise, backed by an excellent team of professionals and having dealt in a broad arena of projects we at Delecon Design have earned our place as the Top 10 Interior Designer in Mumbai. As popular Residential Interior Designers in Mumbai, our projects include designing suites, flats, duplex houses, row house and the list goes on. As Top Commercial Interior Designers in Mumbai, we have worked with some of the top organizations aiding them in refurbishing and transforming their commercial space into a dream come true. We aid in fine-tuning your ideas by blending it with creative excellence thereby turning your dream into reality. If you are searching for Top 10 Interior Designers in Mumbai, Delecon Design Company is a name that you will find in the list of Interior Designers in Mumbai. Our mission and vision surround the goal of offering immaculate services by conceptualizing designs and transforming the ideas into reality. As Top Interior designers in Mumbai, we thrive to offer the best features with our distinguishing services that are packed with value-added functions. 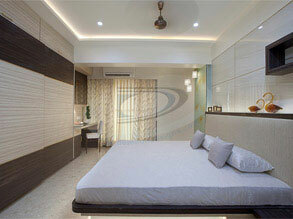 As recognized residential interior designers in Mumbai, our projects are backed with all-around features. Delecon Design Company finds it's place among the Top 10 interior designers in Mumbai with working on a range of residential, office and commercial projects. 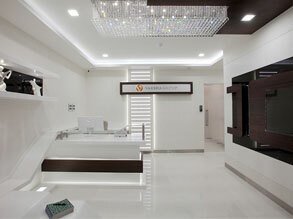 As Top Interior Designers in Mumbai, we have delivered our excellence in a wide arena of projects. As top residential interior designers in Mumbai, we have contributed in transforming the residential space of our clients including Mr. S.J. Rana's Residence, Mr. A.B. 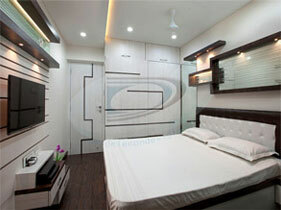 Solanki's Residence, residential space at Kharghar, Guwahati and much more. 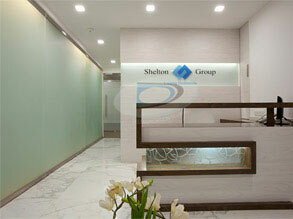 As recent works as popular Office Interior designers in Mumbai, we have completed the entire refurbishing of Sheldon Group of Companies and Varsha Group at Navi Mumbai. Our work projects are spread across different places with our clients rendering a thumbs up for our exemplary services. With immense hard work and craftsmanship, we at Delecon Design Company has grown on of earning the epithet of best Interior Designers in Mumbai. The interior of a place is the very first thing that catches the eye of the visitors. 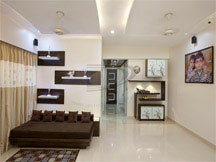 And hence having it designed in an alluring manner is a must so as to create a lasting impression on the onlookers. Delecon Design company is known as the Best Commercial Interior Designers in Chembur and Office Interior Designers in South Mumbai who are renowned for their impeccable skills of transforming the commercial space and offices into a wonderful dream. Apart from being known as Commercial Interior Designers in Chembur, we have also earned expertise among our clients as the best residential interior designers in Bandra. Loyalty, productivity and blending creativity to ideas are our core character base which has helped us grow in the field. Our core principle lies in offering commitment, on-time delivery, excellent designing in lines of client's requirement, intelligent planning, loyalty and focused supervision with our team of professional designers put in all our works. 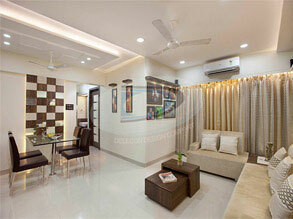 These very skills make us best interior planners in areas of Mumbai, South Mumbai and Navi Mumbai. "Team DELECON is excellent in time management"
"Interior Designer Rajveer came with fresh design ideas & eye catching concepts." "Innovative Designers with great working effort." "IN NAVI MUMBAI WE PROUD TO HAVE SERVICES FROM Team DELECON "
Do you wish to refurbish your entire office space or your residence? 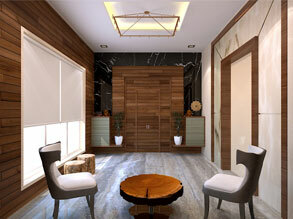 Are you looking for best Commercial Interior Designers in Thane? Delecon Design Company welcomes you to experience our services and watch your dream place turn into reality. We at Delecon Design Company are renowned Interior Designers in Ulhasnagar, with a huge client base across Navi Mumbai, Mumbai, and South Mumbai. We are established Commercial Interior Designers in Ghatkopar who brings across to you world-class residential and commercial projects that can transform the outlook of your place. We deem to offer our clients the exact output of what they have dreamt of for their commercial and residential space backed by an eminent team of designers. With our hard work and excellence, we at Delecon Design Company has been endowed with the portfolio of best commercial Interior Designers in Pune. We aim to keep the same trust growing by accepting challenging projects and putting our best foot forward through commitment, loyalty, and dexterity, thus building ourselves in India as well as countries abroad. The Colors & Design of a Premise Should Be a Reflection of the People Who Live Inside.